A chance meeting between myself and The Rare Tea Company brought the LGC together with Mark from Half Hitch Gin. Half Hitch is made in Camden Lock which was the home of Gilbey’s Gin Distillery from the 1860s untill 1963. This wonderfully innovative gin is made by blending (cold temperature vacuum) single distillates which include black tea from Malawi (hence the connection with the Rare Tea Company), bergamot, wood and hay (yes we did say hay) – with traditional pot distilled gin. 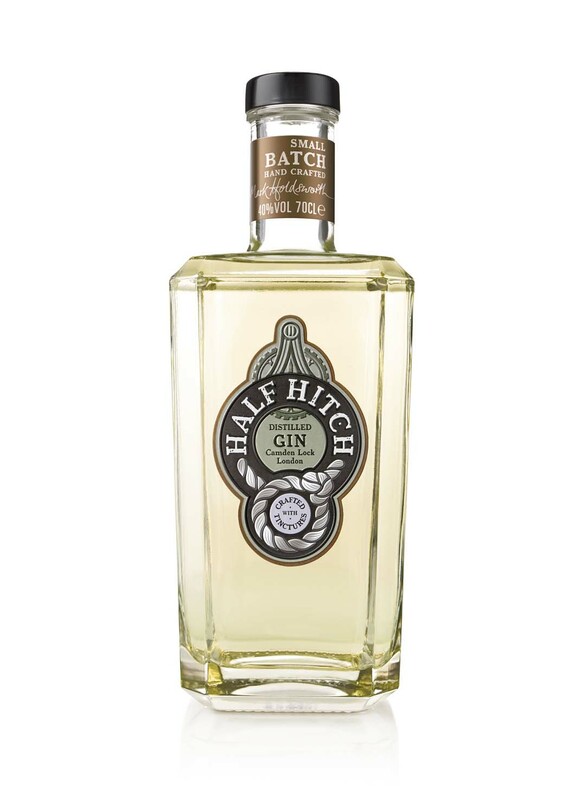 Half Hitch seems at first to be an unexpected blend using a small number of unusual botanicals (juniper, black tea, bergamot, pepper, wood, hay) however the combination makes startling and stunning sense and this is completely backed up in the tasting. A number of gins use green tea, however Half Hitch uses black tea, a fermented version of Green tea with malty, earthy and pepper notes. Bergamot and black tea is of course a match made in heaven and the influence of the wood and hay add an earthy vanilla sweetness and pleasant tannin notes. And so, on to the tasting. On the nose it has subtle aromatics with bergamot sitting softly behind fresh juniper. Tasted neat it leads with a lemon, peppery sweetness which is followed and balanced by a subtle bitterness possibly from the tannins (from the wood / tea?) combined with juniper. This is followed by an aromatic black tea linger which brings malty, earthy notes and a bergamot finish. With the addition of tonic this becomes a very smooth gin with delicate citrus notes and long smooth malty, vanilla finish. We will garnish with lemon peel in our gin and tonic and it would make a lovely spring time gimlet. We’re so impressed by Half Hitch we’ve put it on our latest tasting menu, and you could always follow it up with a 1960s Vintage Gilbey’s from our gin menu – making you a true Camden gin fancier. Excellent work Mark, a great and distinctive addition to the world of artisan gin.